OK, this is quite annoying. It was plenty annoying when I was at a univerisity and 90% of the articles were available at publication, but that 10% always included a handful of important articles so it has always been a PITA. So now I’ll start future blogging! I’ll tag interesting articles when they get published and follow up when I can actually read them. Many journals now are open access, but some release an article six months or a year after publication. Or sometimes the pdf gets posted. So I’ll tag intertesting articles when they hit the news and write a follow up when I can read them. Because titles and abstracts aren’t enough for articles with useful information! Duration of urination does not change with body size. Patricia J. Yanga, Jonathan Phama, Jerome Chooa, and David L. Hu. PNAS vol. 111 no. 33p11932–11937. BTW, PNAS used to release articles at publication. When did they go dark?! Parasite Rex: Inside the Bizarre World of Nature’s Most Dangerous Creatures by Carl Zimmer. Great book. About parasites. What they are, the recent discovery of how big a role they have in ecosystems, how they live, how they have jumped from animal to animal, and of course, which ones afflict people. Several chapters describe a range of human parasites in amazing and often frightening detail. From botfly larvae to liver flukes, malaria’s Plasmodium to the nematodes that parasitize humans. There is some discussion of microbial parasites, but most of the book covers metazoan parasites. 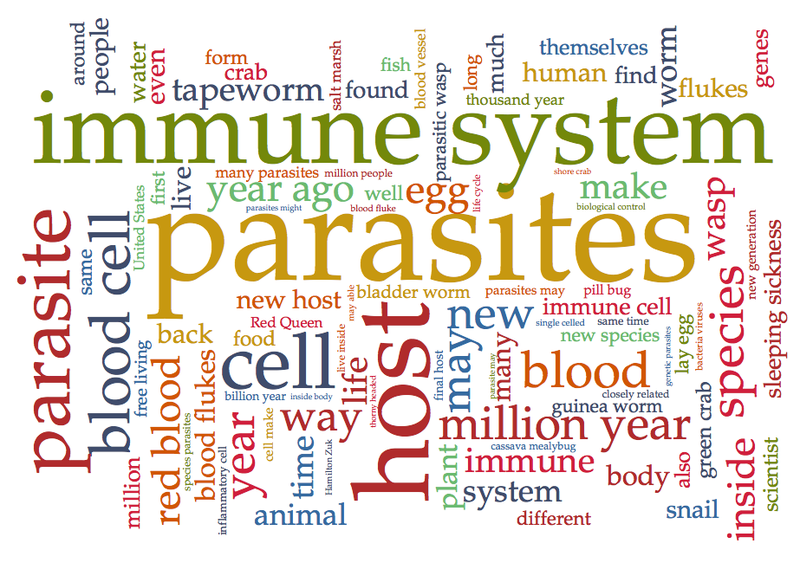 Zimmer tells the stories of some of these parasites–how they find their way to people, what they do once they arrive in a new host, how they escape detection, and the course of the disease. The story of how several parasites were discovered, how they were identified and followed through their changes of form and host are told. And there are pictures! Let’s start by bracketing things. Fluoride in water can’t be highly dangerous or people would have noticed. Not putting fluoride in water is not a risk-free choice–it prevents cavities. Cavities don’t just make your teeth fall out, they also increase risks of bacteria related heart disease, and the occasional person dies of a tooth abscess. So the question is, is there disease caused by fluoridation, and is it worse than the diseases caused by no fluoridation? OK, let’s look at the video. 5:42 Suggests that the idea of adding fluoride to water supplies was to hide the dangers of for fluoride pollution or avoid responsibility for damage due to fluoride pollution. Doesn’t really make sense so far. Ah, reading in the history, when government regs made industry stop dumping fluoride in air and water, one thing they did with it was process out fluoride for water fluoridation. Doesn’t sound that damning, after all it would have been cheaper to dump it in a landfill. ~7:00-20:00 Fluoride air pollution can be bad. Some of the early fluoride researchers also worked on and perhaps had a part in the worst cover ups regarding industrial pollutants. What I’ve read of the tetraethyl lead story is appalling. The connection with the lead story is tenuous. Fluoridating water wasn’t a gold mine, I don’t see there being much pressure to push fluoridation back when it started. 21:30 The NRC report (below) discusses Waldbott’s results, concludes that some people are sensitive to typical water concentrations of fluoride and that it appears to be fairly rare. From the NRC report, it doesn’t appear that the safety of water fluoridation was well-established, certainly nowhere near today’s standards, back when it began. It was safe by 1940’s standards, and had a clear benefit. I’ve probably got an extra tooth in my mouth due to it. 25:00 The NRC report discusses the Mullenix study. Calls it inconclusive, calls for more studies. Fluoride reduces cavities by 15-40%, depending on the study. The low figure is an estimate of the benefit of water fluoridation in a population that already uses fluoride toothpaste. Here’s the meat! Water fluoridation is 1 mg / L, when the level hits 4 mg / L studies start seeing negative health effects. That’s a pretty narrow window between benefit and danger level, the smallest one for an environmental exposure I’ve run into. YMMV, I’m not an environmental toxicologist. What hasn’t really been studied are neurotoxic effects of low level exposure. A few studies have turned up disturbing results. Check out the summary on page 205. The bit about Europe in the video is misleading. Europe hasn’t avoided fluoride, it’s just mostly not in water, it’s in salt or toothpaste. (NaturalNews) In response to growing awareness about the dangers of artificial sweeteners, what does the manufacturer of one of the world’s most notable artificial sweeteners do? Why, rename it and begin marketing it as natural, of course. This is precisely the strategy of Ajinomoto, maker of aspartame, which hopes to pull the wool over the eyes of the public with its rebranded version of aspartame, called “AminoSweet”. 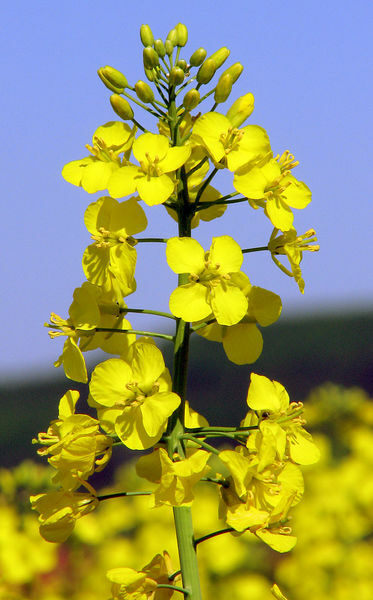 Yeah, tell it to the slimehead (aka, orange roughy) or to rapeseed (aka, canola). Over 25 years ago, aspartame was first introduced into the European food supply. Today, it is an everyday component of most diet beverages, sugar-free desserts, and chewing gums in countries worldwide. But the tides have been turning as the general public is waking up to the truth about artificial sweeteners like aspartame and the harm they cause to health. The latest aspartame marketing scheme is a desperate effort to indoctrinate the public into accepting the chemical sweetener as natural and safe, despite evidence to the contrary. Aspartame was an accidental discovery by James Schlatter, a chemist who had been trying to produce an anti-ulcer pharmaceutical drug for G.D. Searle & Company back in 1965. Upon mixing aspartic acid and phenylalanine, two naturally-occurring amino acids, he discovered that the new compound had a sweet taste. The company merely changed its FDA approval application from drug to food additive and, voila, aspartame was born. G.D. Searle & Company first patented aspartame in 1970. An internal memo released in the same year urged company executives to work on getting the FDA into the “habit of saying yes” and of encouraging a “subconscious spirit of participation” in getting the chemical approved. Of course they wanted their new product approved. Pet peeve of mine: Unsourced quotes of a fraction of a sentence. Often misleading, or copied from somewhere else, and so on leading back to who knows where. In 1976, then FDA Commissioner Alexander Schmidt wrote a letter to Sen. Ted Kennedy expressing concern over the “questionable integrity of the basic safety data submitted for aspartame safety”. FDA Chief Counsel Richard Merrill believed that a grand jury should investigate G.D. Searle & Company for lying about the safety of aspartame in its reports and for concealing evidence proving the chemical is unsafe for consumption. The first obstacle that Searle met came from Dr. John W. Olney, M.D., psychiatrist and Professor of Psychiatry at Washington University of St. Louis, and James S. Turner, author of The Chemical Feast, and co-founder of the Center for Study of Responsive Law. Olney and Turner formally objected to the regulation that authorized the marketing of aspartame as a sweetener in foods. Dr. Olney had performed research in animals regarding the toxic effects on the brain of certain Amino acids, including asparatic acid. Both parties objected to the use of aspartame in foods, especially those consumed by children. They asserted that aspartame might cause brain damage resulting in mental retardation, endocrine dysfunction, or both. Turner and Olney also argued that aspartame could be dangerous to persons with the genetic disorder phenylketonuria (PKU), a disorder that prevents the metabolism of phenylalanine, one of the amino acids in aspartame. These along with other concerns and allegations necessitated a FDA hearing provided for by 21 U. S. C. 348. Instead of having a full evidentiary hearing, which was customary at the time, the parties waived their right and accepted a hearing before a public board of inquiry instead. This was the first time that the FDA had ever used this type of hearing in place of a full evidentiary hearing. Searle agreed to delay marketing of aspartame temporarily, pending resolution of the safety questions. Before the board could hold a hearing regarding the safety of aspartame as a food additive in response to Olney and Turner’s allegations, however, Searle’s quest for aspartame approval hit another snag. Preliminary results from an audit of the records of certain animal studies conducted by or for Searle, including studies on aspartame, indicated a need for a comprehensive review of the authenticity of the aspartame research data. Apparently, the audit of Searle’s clinical methods revealed “sloppy” research, including some research that was being done on aspartame. The negative publicity that surrounded Searle’s clinical methods bolstered consumer criticism of aspartame, and further clouded the safety issues that had not yet been addressed. Alexander Schmidt, then FDA commissioner, noted that the FDA audit revealed “different discrepancies of different kinds.” Pursuant to 21 U. S. C. 348(e), FDA formally stayed the regulation authorizing the marketing of aspartame. G.D. Searle & Company submitted its first petition to the FDA in 1973 and fought for years to gain FDA approval, submitting its own safety studies that many believed were inadequate and deceptive. Despite numerous objections, including one from its own scientists, the company was able to convince the FDA to approve aspartame for commercial use in a few products in 1974, igniting a blaze of controversy. So, the FDA was cautious. Good to hear they don’t let companies put untested new chemicals in the human food supply. G.D. Searle & Company’s safety studies were sloppy, and this delayed the approval of aspartame until 1981, a delay probably costing the company at least tens of millions in lost profits. It looks like G.D. Searle & Company did what it could to push and influence the approval process through means fair and foul. The worst case interpretation of the company’s actions is put forward here. It’s initial approval application in 1973 was crap but by the time 1981 rolled around enough other studies had been done for aspartame to squeak by to approval. Wikipedia usually is a poor source for controversies and alt-med claims but its aspartame controversy article at least shows the shape of the debate. Despite the myriad of evidence gained over the years showing that aspartame is a dangerous toxin, it has remained on the global market with the exception of a few countries that have banned it. In fact, it continued to gain approval for use in new types of food despite evidence showing that it causes neurological brain damage, cancerous tumors, and endocrine disruption, among other things. “cancerous tumors”: As I wrote before 10:1 no cancer:cancer so far. Either not a carcinogen or a very weak one. “endocrine disruption”: No evidence. The claim traces back to a hypothesis made by Olney in 1975. Basically large doses of MSG can cause stunting and he suggested the aspartic acid in aspartame would have the same effect. There was never much evidence for this idea, and by the time of this 1988 review article it was known to be false. While MSG can make a person head buzz a bit (it has this effect on me), aspartame doesn’t–so it must have a much weaker effect than MSG. “neurological brain damage”: No evidence I can find. The board had its first meetings on January 30, 31 and February 1, 1980. On the first question, whether the ingestion of aspartame poses a risk of contributing to mental retardation, brain damage, or undesirable effects on the neuroendocrine regulatory system, the board found that aspartame did not pose an increased risk of brain or endocrine dysfunction. The Humphries et al., 2008 article I mentioned in the previous post is the recent source for most of these claims on the internet. But the claims in the review article are all hypotheses and maybes and don’t have any evidence behind them. In fact, aspartame’s neurological effects have been studied extensively since the controversy over its approval thirty years ago and there’s still no evidence it causes any damage to the brain. What countries have banned aspartame? As far as Wikipedia knows, no countries have banned aspartame, certainly not US/Canada/Europe. The details of aspartame’s history are lengthy, but the point remains that the carcinogen was illegitimately approved as a food additive through heavy-handed prodding by a powerful corporation with its own interests in mind. Practically all drugs and food additives are approved by the FDA not because science shows they are safe but because companies essentially lobby the FDA with monetary payoffs and complete the agency’s multi-million dollar approval process. From the Wikipedia article: “In 1987, the U.S. Government Accountability Office concluded that the food additive approval process had been followed properly for aspartame.” As the discussion above notes, it was a bumpy approval, but the FDA did scrutinize it. FDA review and approval is a barrier, the main barrier, to companies selling dangerous or ineffective products. It was designed to work in the face of corporate opposition and evasion. And it works OK–there are only a few cases where the FDA has approved something later shown to be dangerous, and while it is expensive to do the studies to prove a product safe, the FDA makes approval decisions pretty quickly. That the FDA is a barrier to selling crap is apparent in how happy the alt-med product companies were to get Congress to exclude them from FDA oversight and how hard they lobby to keep their special status (Dietary Supplement Health and Education Act (DSHEA) of 1994). The artificial sweetener aspartame is about 200 times sweeter than sugar. It is widely consumed in large quantities–diet sodas contain 140-185mg per 12 oz., so a person drinking a lot of diet soda may consume a gram a day. The FDA recommends 40mg per kg body weight as a safe daily dose–about 2 grams per day for a average sized person. In the human gut aspartame breaks down into three components: two amino acids, phenylalanine and aspartic acid, and methanol. Phenylalanine and aspartic acid, being amino acids, are a normal part of the human diet. Methanol is absorbed from the gut and converted by the liver to into formaldehyde and formic acid, both nasty but non-specific poisons. In the small amounts formed from aspartame they are thought to not be dangerous. Some foods, some normal body processes, and alcohol consumption produce methanol, though I don’t have figures as to how much. There has been some controversy over whether aspartame is safe. There have been a few studies showing some cancer risk in animals, three recent mouse studies from Soffritti et. al. being the most convincing. Any cancer risk is thought to come from the methanol. Recent studies in animals seem to running about 10:1 no cancer:cancer. As aspartame has been in food for thirty years, there have been some large human studies, and none of them show increased cancer due to eating aspartame. Here are American Cancer Society and National Cancer Institute pages assessing aspartame. This 2008 review article makes a number of alarmist suggestions but has almost no actual evidence. It’s a very odd article. A large human dose of aspartame is about 1 gram a day. The RDA for protein consumption is 0.8 g / kg day, which contains about 2 grams of phenylalanine and aspartic acid. Not all foods have an even balance of amino acids, so animals must have fair ability to buffer a diet rich in one or another. Aspartame has been well-studied and is safe. It is still being studied–it may turn out to be a very weak carcinogen, too weak to show up clearly in the studies so far. Or have a subtle effect that screws up the rare person’s brain. Risks are relative–aspartame is certainly much better for a person’s health than the sugar it replaces. On the other hand, you can’t go wrong drinking water. How big is a nanobot? Nanobots are miniature molecular machines. So far they are just an idea as no one knows how to design or build one. But there is discussion of them, and certain properties be considered. For example, how big is a nanobot? A ‘simple’, dumb miniature machine could be quite small, for example an antibody attached to a viral-like particle that binds to particular cells, get absorbed by the cell and opens to release the DNA into the cell. But that’s not a very interesting machine, the really interesting nanobots are miniature robots with sensors, computer logic to make decisions, and hands to grab or manipulate things. So what’s the minimum size for a smart nanobot? It has 100,000 bytes of memory, 1,000,000 bits, and 10 atoms/bit. Let’s figure the same number of atoms for the computer logic. Add an equivalent number for energy storage and generation, structure, sensors, and manipulators. Thirty million atoms in total. If it is mostly carbon, atoms will be 1 Å apart. Assume a spherical shape, and look at protein structures to estimate packing of atoms in a compact structure. From this, the core of the nanobot will be an estimated 1000 Å or roughly 100 nm. An E. coli is roughly 1 &#181m long, so a nanabot would be a about a 1/10 the size of a bacteria. 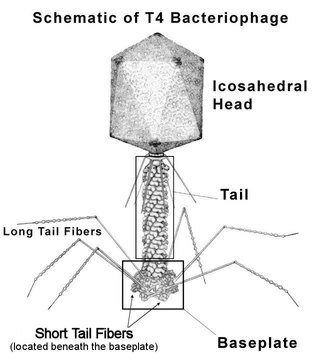 This is small, about the size of an average virus particle, small enough to exist inside cells. A nanobot is large enough to be recognized and engulfed by immune cells, and to need a specific mechanism to enter cells.